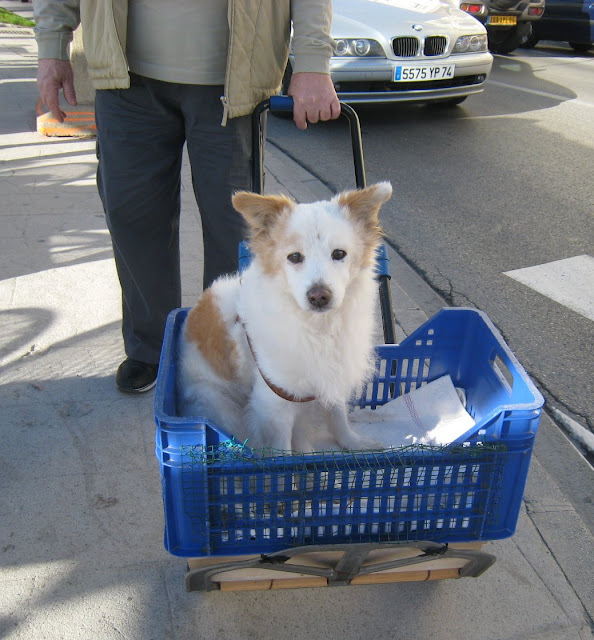 This old Spitz-type dog suffers badly from arthritis so his Italian owners have made this trolley for him - and look how happy he is being pushed along the seafront in Menton. Sometimes the extremes to which people will go for their dogs astounds me - but that's love of a dog, of course and provided the dog is not in pain, why not? He looks rather pleased with himself. If only All dogs had owners like Benny! The love for a dog is just beautiful!